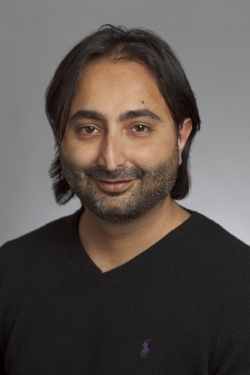 General Catalyst managing director Hemant Taneja confirmed this afternoon that the Cambridge venture capital group will be opening an office in Palo Alto sometime next year, a project that Taneja is overseeing. He says he may not move out to California permanently, as I'd heard earlier today, but that "we need to hire a bunch of people there, and it's hard to get that done unless there's someone senior enough on the ground." Taneja, who does all sorts of deals at the firm — ranging from cleantech to Internet to medical diagnostics — adds that he's in the midst of wrapping up a significant new investment here in Boston. General Catalyst already has at least one new partner on the ground in Silicon Valley: Chris Farmer, who started at General Catalyst just this month, according to his LinkedIn profile. (Farmer isn't yet listed on the General Catalyst Web site.) Farmer's LinkedIn page says that he will focus on "early stage investments in consumer Internet, software, and mobile." Farmer had briefly run an executive search firm, and before that was a vice president at Bessemer Venture Partners, another venture capital firm. He adds that the managing directors at GC aren't yet sure how big the Palo Alto office will be, but that the firm didn't want to simply hire people by remote control hope for the best. "We felt it was too risky to get some random set of investors you don't know, or have any cultural connection with," he says. Thus, Taneja will spend significant time there to help get the office going. "Sometime later this year, we'll deal with how we think about numbers [of people in Palo Alto] and the type of team we want to put down there," he says. Taneja says he hopes to continue co-teaching an MIT course on entrepreneurship called "The Founder's Journey." He is also a founder of the New England Clean Energy Council, a trade group. I should point out that most Boston venture capital firms have a presence in Silicon Valley; General Catalyst had been unique for a long while, in having its entire team based in Cambridge. GC is investing out of a $715 million pair of funds it raised in 2007. The most recent other local VC firm to set up a West Coast outpost was Third Rock, which focuses exclusively on life sciences.